Water supply is essential to economic growth and stability. 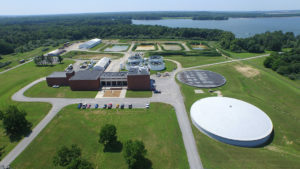 With 19,000 acres of water at hand, Rend Lake Intercity Water System supplies water to 7 counties in the Southern Illinois region. Water supply is essential to economic growth and stability. Each year Rend Lake attracts more than 3.6 million visitors. Because of that, millions of dollars come into the region, impacting the Franklin County economy. The Rend Lake complex is maintained by the US Army Corps of Engineers with sections of the lake maintained by the Illinois Department of Natural Resources (Wayne Fitzgerrell State Park) as well as the Rend Lake Conservancy District. Rend Lake offers abundant opportunity for recreation from boating, fishing, camping and hiking to hunting, hiking, bicycling, golf and more.